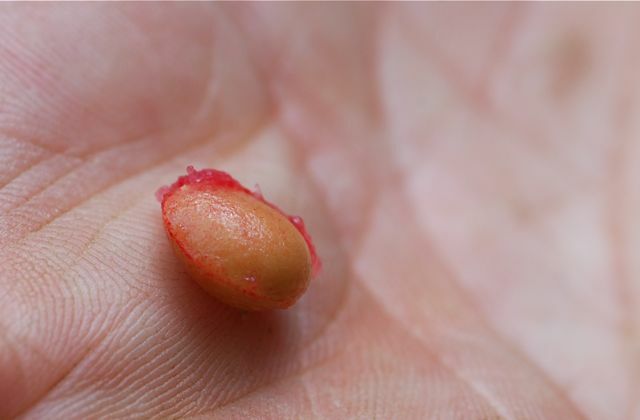 Our mystery seeds from last week were the pits, the cherry pits that is. You can still see a bit of the red fruit attached to this one (the other pits were from a yellow-fleshed variety. 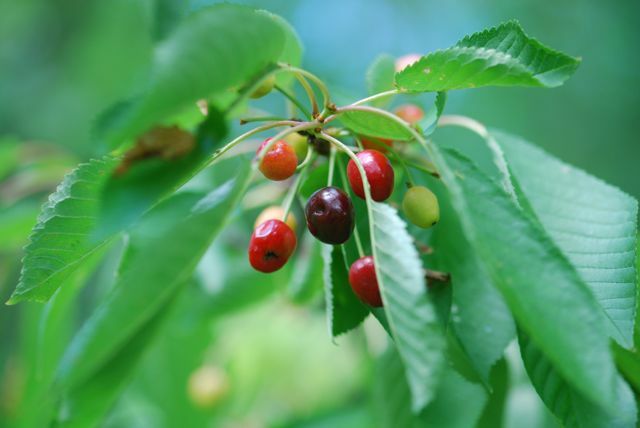 A number of plants in the genus Prunus are called cherries, but the two used commercially are Prunus avium, called sweet cherry, and Prunus cerasus, the sour cherry. The edible ones are thought to have come from western Asia originally, although they have been cultivated and spread throughout much of the world. Cherries grow on small trees. The trees blossom in the spring, and produce fruit from late spring to summer, depending on the variety and where it is grown. Although the fruit is good to eat, the pits and other parts of the plants may be toxic. The cherry plant contains varying amounts of cyanogenic glycoside, which is converted to cyanide when eaten. Now I'm thinking about making a cherry cobbler or a cherry pie. 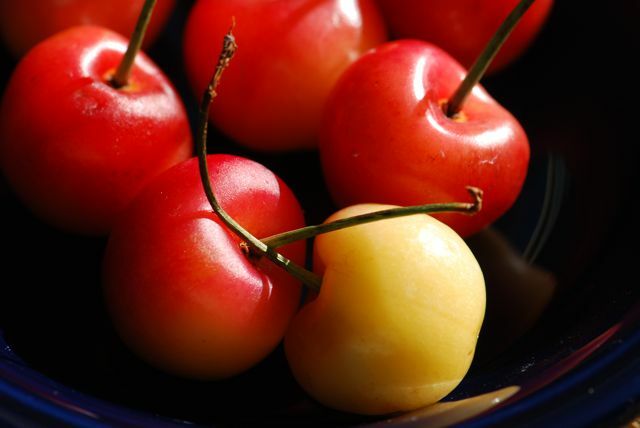 What is your favorite way to eat cherries?